In a late 2016 editorial column on the AICPA website, the then-chairman of the board spelled it out clearly. Kimberly N. Ellison-Taylor, CPA, CGMA, said that accountants must continue to evolve with the ever-changing technology disrupters shaping our profession. These disruptors have changed how our clients interact with our firms, and how they want to interact. Let’s look more closely at how these cloud-computing models are liberating even the smallest CPA firm by providing them with the tools they need to stay competitive. What are the pros and cons of moving to the cloud? Cloud solutions for small business have revolutionized our ability to compete across industries. In accounting, it’s given rise to Software-as-a-Service (SaaS) that has allowed us access to tools that make the job easier. From QuickBooks online to the Microsoft Office suite, it’s very likely that your firm is currently making use of cloud services – perhaps without even realizing it. The pro’s of cloud solutions for any business is primarily linked to accessibility and affordability. These benefits are embodied in the “three S’s”: Stability, Scalability, and Subscription. CPAs still express concern that cloud models are not safe. We would argue just the opposite. In fact, CIO reported in June that the widespread migration to cloud models is continuing at a rapid pace. They cite the latest run rate of Amazon Web Services (AWS) – at greater than $14 billion – as one indicator that companies of all sizes are adopting cloud infrastructures. These businesses recognize the powerful security framework housing these models are constantly evolving to fight the latest cyber threat. Many believe that having a professionally managed data center with security teams is either superior to in-house IT talent, or a great supplement to on-site tech teams. Simply put, how prepared is your technology for business growth? When your business expands your on-premise server architectures might not have the capability to hold the additional data. This necessitates an on-site hardware upgrade to add more bandwidth that can be time consuming and expensive. When your business contracts, you pay for space you’re not using on your servers along with physical space in your business. This is a particularly important point for CPAs who have a very clear cyclic “busy season” along with a corresponding down time where they are not struggling to keep up. Cloud solutions for small businesses can be designed to add more bandwidth easily – you just buy more bandwidth. They can scale down just as easily, making this an important benefit of these services. Cost containment is a key benefit of cloud models, no matter how large or small your business. Today, there is a plethora of subscription models that are all designed to create a budget-friendly, stable cost structure that is particularly pleasing for the small business owner. On-site hardware comes with non-fixed costs, such as when a server fails or when software needs upgrading. Cloud models were designed specifically to offer services based on your consumption patterns and budget. Find out how TOSS C3 can help your business keep up with technology trends. Get a free assessment of your readiness to migrate to the cloud. Are Cloud Solutions for Small Businesses Right for Your Firm? 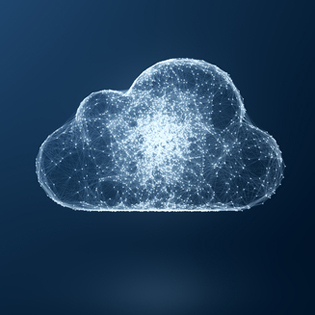 Despite these trends, we would recommend that CPA firms conduct a technology assessment with a cloud service provider to determine if the model is right for you. There are three cloud models available: Public, private, and hybrid. And within those frameworks are a plethora of services which could potentially benefit your business. Ultimately, deciding whether to migrate all or part of your business into the cloud is up to the individual CPA firm. Weighing the pros and cons is an important step in choosing which “disruptor” is right for your business. Request a quote for TOSS cloud services. Put the same tools that enterprise organizations use to work for your CPA firm.